Paul Francis Laughlin was born on 23 October 1936 at Pittsburgh, Allegheny, PA. He died on 10 March 2014 at PA at age 77. 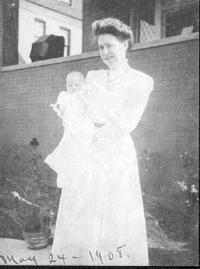 Alice Patricia Lowney was born on 10 October 1913 at Dorchester, Suffolk, MA. She married John Michael O'Malley, son of Michael O'Malley and Julia Gertrude Keating, on 15 November 1933 at New York, NY. Alice Patricia Lowney married John Michael O'Malley, son of Michael O'Malley and Julia Gertrude Keating, on 6 July 1966 at Rye, Rockingham, NH. 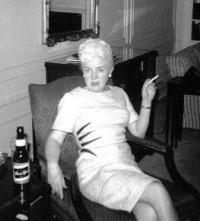 Alice Patricia Lowney died on 21 January 1967 at Nashua, Hillsborough, NH, at age 53. She was buried at St. Patrick's Cemetery, Hudson, Hillsborough, NH. Mary Ellen O'Malley was born on 30 December 1949 at Rochester, Strafford, NH. She died on 29 April 2004 at Valencia, CA, at age 54. Eunice Smith was born on 14 December 1923. She married John Michael O'Malley, son of Michael O'Malley and Julia Gertrude Keating, at Chicago, Cook, IL. Eunice Smith married John Michael O'Malley, son of Michael O'Malley and Julia Gertrude Keating, on 4 May 1967 at Nashua, Hillsborough, NH. Eunice Smith died in November 1981 at Glendale, Los Angeles, CA, at age 57. Bridget Heneghan was born in 1842 at Louisburgh, Mayo, Ireland. She immigrated in 1855. She married Michael O'Malley, son of Patrick O'Malley and Margaret Frazer, circa 10 October 1863 at Somersworth, Strafford, NH. Bridget Heneghan died on 20 March 1907 at Somersworth, Strafford, NH. She was buried circa 23 March 1907 at St. Patrick's Cemetery, Rollingsford, Strafford, NH. Michael O'Malley was born circa 1837 at Kinnadoohy, Mayo, Ireland. He married Bridget Heneghan, daughter of Thomas Heneghan and Bridget Parsons, circa 10 October 1863 at Somersworth, Strafford, NH. Michael O'Malley died circa 1874 at Scranton - area coal mine, PA.
Honora "Onnie" O'Malley was born in March 1873 at NH. She died on 6 May 1959 at Somersworth, Strafford, NH, at age 86. She was buried on 9 May 1959 at St. Patrick's Cemetery, Rollingsford, Strafford, NH. Anthony S. O'Malley was born in June 1874 at NH. He married Virginia Anna Murch, daughter of James Murch and Marie Orgelman, at unknown. 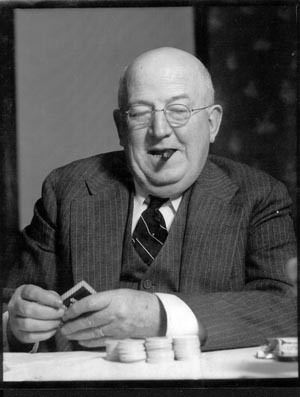 Anthony S. O'Malley died on 8 February 1969 at Lynn, Essex, MA, at age 94. 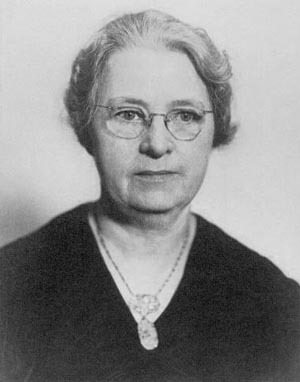 Virginia Anna Murch was born circa 1888 at MA. She married Anthony S. O'Malley, son of Michael O'Malley and Bridget Heneghan, at unknown. Virginia Anna Murch died on 25 December 1980 at Lynn, Essex, MA. Thomas Heneghan was born in February 1813 at Ireland. He married Bridget Parsons, daughter of Walter Parsons and Mary Ball, before 1842 at Ireland. Thomas Heneghan immigrated in 1850. He died on 24 July 1900 at Somersworth, Strafford, NH, at age 87. He was buried after 24 July 1900 at St. Patrick's Cemetery, Rollingsford, Strafford, NH. Bridget Parsons was born in 1815 at Ireland. She married Thomas Heneghan, son of Thomas Heneghan and Mary Kerrigan, before 1842 at Ireland. 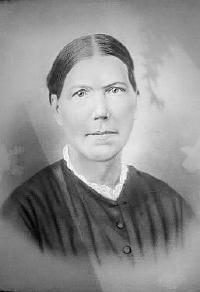 Bridget Parsons died on 24 August 1887 at Somersworth, Strafford, NH. She was buried after 24 August 1887 at St. Patrick's Cemetery, Rollingsford, Strafford, NH. Patrick O'Malley was born circa 1800 at Ireland. He married Margaret Frazer at Ireland. Patrick O'Malley was buried in 1890 at Kileen, Mayo, Ireland. He died in 1890 at Ireland. Margaret Frazer was born in 1810 at Ireland. She married Patrick O'Malley, son of Sean "John" O'Malley and Bridget Burns, at Ireland. Margaret Frazer was buried in 1881 at Kileen, Mayo, Ireland. She died in 1881 at Ireland. Sean "John" O'Malley was born circa 1770 at Ireland. He married Bridget Burns at Ireland. Sean "John" O'Malley was buried at Duach Mor, Mayo, Ireland. Bridget Burns was born at Ireland. She married Sean "John" O'Malley, son of Taidg "Timothy" O'Malley, at Ireland. Taidg "Timothy" O'Malley was born at Ireland. Patrick Francis Sheedy was born on 6 November 1872 at Allegheny, Allegheny, PA. He was baptized on 8 December 1872 at Allegheny, Allegheny, PA. He married Estelle (or Stella) Frances Brennan, daughter of William P. Brennan Jr. and Anna or Annie Markey, on 10 February 1898 at Allegheny, Allegheny, PA. Patrick Francis Sheedy was CENSUS 1920. He died on 26 October 1942 at Pittsburgh, Allegheny, PA, at age 69. He was buried on 29 October 1942 at St. Mary's Cemetery, Lawrenceville, Pittsburgh, Allegheny, PA.
Estelle (or Stella) Frances Brennan was born on 8 August 1874 at Allegheny, Allegheny, PA. She was baptized on 30 August 1874 at St. Andrews, Northside, Allegheny, PA. She married Patrick Francis Sheedy, son of John Daniel Sheedy and Catherine or Cathern Shea, on 10 February 1898 at Allegheny, Allegheny, PA. Estelle (or Stella) Frances Brennan died on 24 May 1962 at Pittsburgh, Allegheny, PA, at age 87. She was buried on 28 May 1962 at St. Mary's Cemetery, Lawrenceville, Pittsburgh, Allegheny, PA.
Morgan Francis Sheedy was born on 23 August 1899 at Pittsburgh, Allegheny, PA. He died on 22 July 1976 at Pittsburgh, Allegheny, PA, at age 76. He was buried after 22 July 1976 at St. Mary's Cemetery, Lawrenceville, Pittsburgh, Allegheny, PA.
John Clare Sheedy was born on 8 November 1905 at Pittsburgh, Allegheny, PA. 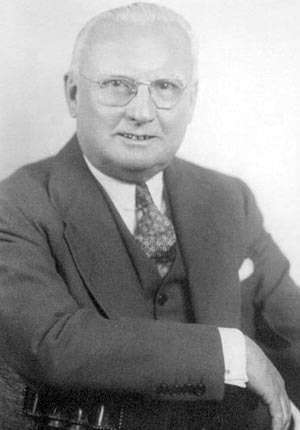 He married Mary Cray, daughter of James Robert Cray and Catherine Lynch, on 10 May 1933 at Uniontown, Fayette, PA. John Clare Sheedy died on 22 October 1983 at Pittsburgh, Allegheny, PA, at age 77. He was buried on 24 October 1983 at Calvary Cemetery, Pittsburgh, Allegheny, PA.
Charles E. "Fr. Chick" Sheedy C.S.C. Charles E. "Fr. Chick" Sheedy C.S.C. was born on 1 July 1912 at Pittsburgh, Allegheny, PA. 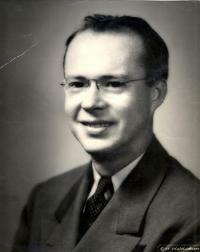 He was ordained on 24 June 1942 at Notre Dame, South Bend, St. Joseph, IN. 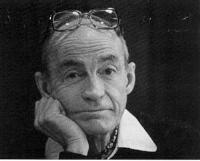 He died on 14 April 1990 at South Bend, St. Joseph, IN, at age 77. He was buried on 19 April 1990 at Notre Dame community cemetery, South Bend, St. Joseph, IN. Herman Scott Sheedy was born on 7 April 1915 at Pittsburgh, Allegheny, PA. He married Genevieve "Jean" Clare Boslett, daughter of Francis Joseph Boslett D.D.S. and Mary Conahan, on 28 November 1940 at Pittsburgh, Allegheny, PA. Herman Scott Sheedy died on 19 February 1957 at Detroit, Wayne, MI, at age 41. He was buried circa 22 February 1957 at St. Mary's Cemetery, Lawrenceville, Pittsburgh, Allegheny, PA.
Frank T. Page was born on 6 February 1879 at Pittsburgh, Allegheny, PA. He was baptized on 16 February 1879 at Pittsburgh, Allegheny, PA. He married Elizabeth Louise Hogan, daughter of Edward L. Hogan and Anna O'Neil, on 25 October 1905 at Pittsburgh, Allegheny, PA. Frank T. Page was CENSUS 1920 in 1920. He died on 22 February 1945 at Pittsburgh, Allegheny, PA, at age 66. He was buried on 27 February 1945 at Calvary Cemetery, Pittsburgh, Allegheny, PA.
Elizabeth Louise Hogan was born on 18 July 1878 at Pittsburgh, Allegheny, PA. She was baptized on 21 July 1878 at St. Joseph, Mt. Oliver, Allegheny, PA. She married Frank T. Page, son of David Page and Margaret Henrietta Lynch, on 25 October 1905 at Pittsburgh, Allegheny, PA. Elizabeth Louise Hogan died on 22 March 1942 at Pittsburgh, Allegheny, PA, at age 63. She was buried on 25 March 1942 at Calvary Cemetery, Pittsburgh, Allegheny, PA.
Elizabeth Louise "Betty" Page was born on 6 March 1908 at Pittsburgh, Allegheny, PA. She married Thomas O'Donnell Murray, son of James Patrick Murray and Katherine Alysius O'Donnell, on 24 May 1933. Elizabeth Louise "Betty" Page died on 8 June 1995 at Pittsburgh, Allegheny, PA, at age 87. She was buried on 10 June 1995 at Calvary Cemetery, Pittsburgh, Allegheny, PA.
Thomas O'Donnell Murray was born on 27 May 1905 at PA. He married Elizabeth Louise "Betty" Page, daughter of Frank T. Page and Elizabeth Louise Hogan, on 24 May 1933. 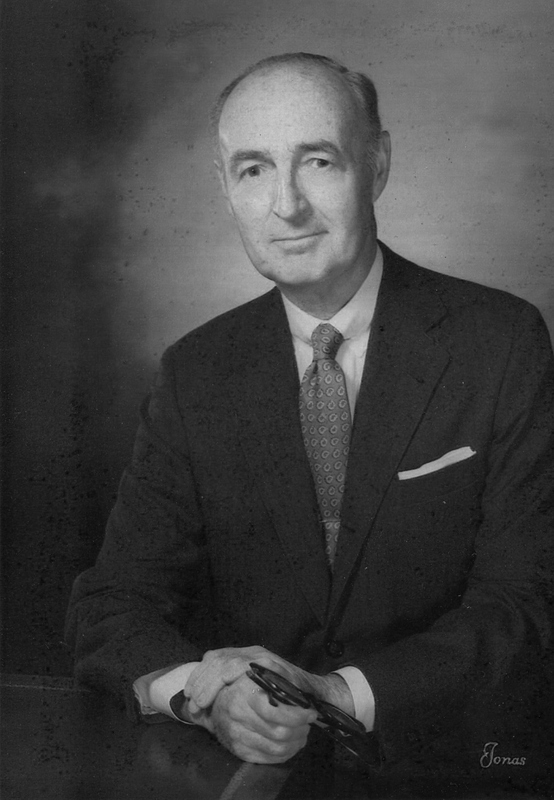 Thomas O'Donnell Murray died on 9 March 1997 at Pittsburgh, Allegheny, PA, at age 91. He was buried on 12 March 1997 at Calvary Cemetery, Pittsburgh, Allegheny, PA.
John David Page was born on 18 May 1911 at Pittsburgh, Allegheny, PA. He married Margaret Elena Coffey, daughter of Timothy Joseph Coffey and Bertha Beatrice Bagshaw, on 2 October 1943 at New York, NY. John David Page died on 5 August 1971 at Springfield, Hampden, MA, at age 60. He was buried on 7 August 1971 at St. Michael's Cemetery, Springfield, Hampden, MA. Martha Eileen Page was born on 5 October 1912 at Pittsburgh, Allegheny, PA. She married Francis Joseph "Fritz" Wilson, son of George Michael Wilson and Mary Theresa "Doll" Rihn, on 1 June 1939 at Pittsburgh, Allegheny, PA. Martha Eileen Page died on 7 May 2003 at Pittsburgh, Allegheny, PA, at age 90. She was buried on 12 May 2003 at Calvary Cemetery, Pittsburgh, Allegheny, PA.
Francis Joseph "Fritz" Wilson was born on 7 May 1906 at Pittsburgh, Allegheny, PA. He married Martha Eileen Page, daughter of Frank T. Page and Elizabeth Louise Hogan, on 1 June 1939 at Pittsburgh, Allegheny, PA. Francis Joseph "Fritz" Wilson died on 19 September 1993 at Pittsburgh, Allegheny, PA, at age 87. He was buried on 22 September 1993 at Calvary Cemetery, Pittsburgh, Allegheny, PA.
Edward Francis Page was born on 6 November 1914 at Pittsburgh, Allegheny, PA. 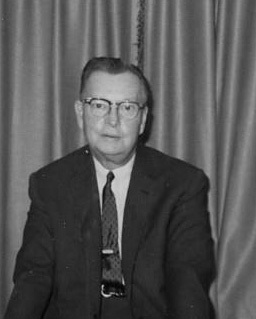 He married Nancy Lee Diebold, daughter of Clarence Joseph Diebold and Edna Louise Lally. 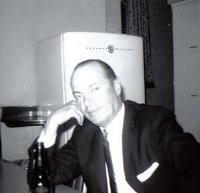 Edward Francis Page married Clare Lee Smith, daughter of William Monroe Smith and Wilma Ann McCorkle, on 27 December 1947 at Reno, Washoe, NV. Edward Francis Page died on 3 January 1998 at Richmond, Henrico, VA, at age 83. He was buried on 6 January 1998 at Sharon Memorial Park, Charlotte, Mecklenburg, NC.